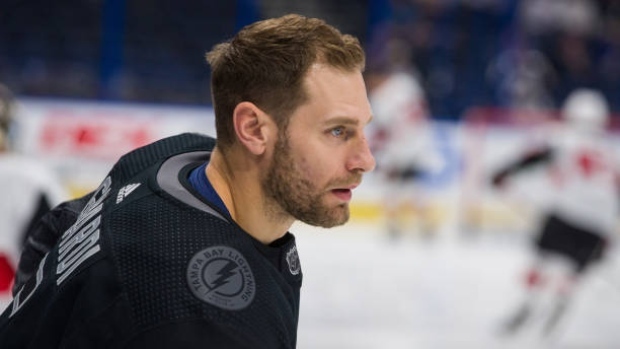 WASHINGTON — Tampa Bay Lightning defenceman Dan Girardi is out indefinitely with a lower-body injury. The team announced Girardi's status Tuesday before visiting the defending Stanley Cup champion Washington Capitals on Wednesday night. Girardi has missed the past five games. Tampa Bay also is without defenceman Anton Stralman, who has missed the past six games with a lower-body injury. Cooper says Stralman won't play on this three-game road trip against the Capitals, Carolina Hurricanes and St. Louis Blues but is a possibility to play next week.